If I were to say The Maze Runner – The Death Cure features a hot young cast trying to overcome an evil organisation in a dystopian future, and you immediately face-palm thinking of Divergent, Hunger Games and similar, then this movie is probably not for you, and I’ve just saved you five minutes of your life reading this review. If, however, the idea of another teen rebellion in a post-apocalyptic world excites you, read on. In fact, if that excites you, you’ve probably seen the first two instalments of this franchise, which is strongly advised before watching this, as it picks up immediately where the last movie left off. I’m not going to rehash the plot of the first two movies here, so do yourself a favour and familiarise yourself with them before seeing this. Suffice to say that the world’s population has been decimated by a virus called the Flare, which only a tiny percentage of the world’s population are immune to. Needless to say, these people are highly in demand as they could hold the key to a cure. In this final chapter which wraps up the story, the last serving members of the original Gladers (you’ll get what this means if you’ve seen the others) attempt a daring rescue of their fellow immune friend from The Last City, where the wealthy and powerful take refuge to avoid infection, while experimenting on the immune to try and find a cure. So basically, at its heart, The Maze Runner – The Death Cure is a rescue movie. And as such there are plenty of big action scenes and daring stunts. The camera work and cinematography is fantastic. Director, Ball, really uses the 3D to full effect to bring depth to the images, as opposed to gratuitous shots of something flying out of the screen at the viewer. The sound mixing is also incredible. It resists the temptation to be totally loud and brash and it works. Most of the actors have their characters down at this stage, and it’s not as if they’re being asked to perform high drama, so on the whole, I can’t fault the performances, other than perhaps Aidan Gillen. He really completely and utterly hams it up, and at times it’s somewhat cringe-worthy. The person who attended the screening with me hadn’t seen the other two movies, and they did enjoy this, although I had to fill in a lot of the gaps for them. 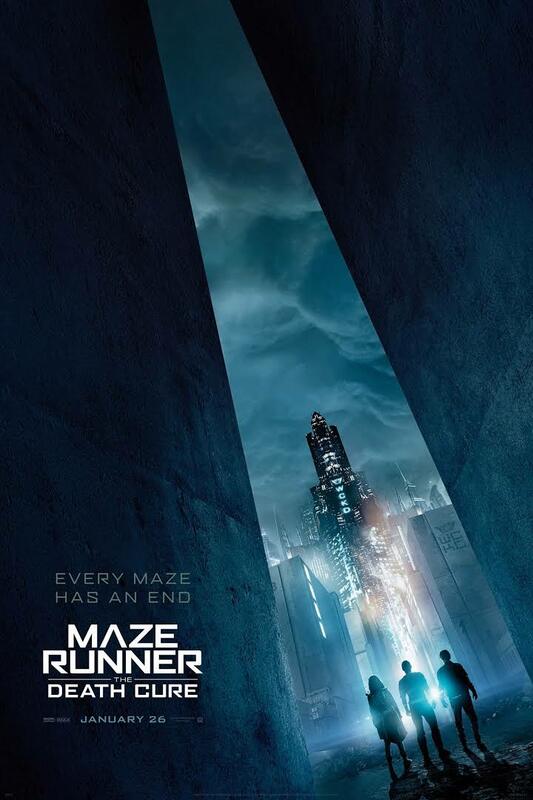 On the whole, The Maze Runner – The Death Cure will offer a satisfying closure to fans of the books and the franchise. However, it is not really designed to engage anyone who hasn’t already been hooked by the story. But on the plus side, the cast look great, so there’s plenty of eye-candy, and who cares about story arc when there are lots of explosions and fight scenes – right? If you want to enjoy The Maze Runner – The Death Cure in the way it seems to have been intended, make sure you are up to speed with the story, and then you will have two hours of sheer bubblegum for the eyes. Otherwise prepare to be a bit confused and dissatisfied.